In a pickle trying to figure out what to wear for all the holiday festivities this year? Not to fear! Rent the Runway is here! Seriously ladies. If you don’t know about Rent the Runway yet… I’ll pray for you. LOL but for real, this clothing rental service is revolutionizing the fashion industry. And if you’re still scratching your head about what this is…click below. Okay, now we’ve got that out of the way… A few of you (and by a few I literally mean 2…hey it doesn’t take much to get me to create content for you) asked me to do a post about my Rent the Runway picks for the holiday season. So I said ‘THANK YOU for the great content idea’ and decided to run with it. Hey maybe we can make this a seasonal thing if you like it. ANYWAYS… I’m going to share some of my favorite things I’m renting right now. Everything from Christmas & NYE outfits to what to wear to your super formal Grandma’s holiday party and that black tie NYE party you’re still hoping to be invited to. While the backdrop of this photo might not scream holiday, this skirt sure does. If you’re like me the holidays are ALL about sequins. Sneak some in with this festive and COMFORTABLE skirt! If understated is your thing, there’s nothing classier than black velvet. I loved this dress when I rented it. The HUGE bow was my favorite part and the material is buttery smooth. Cats out of the bag! This is what I’m wearing for Christmas this year! Linda for sure will hate this but I love it lol. I LOVEEEEE this skirt. It’s comfortable and high waisted. Great for eating a lot lol. I wore this on air when I anchored my last Thanksgiving show. It was so pretty and I got ZERO mean emails about it. So that’s a win lol. This is one of my favorite rentals of all time! Pair it with a sheer pair of black tights and your favorite black pumps. Wait I lied…this is my favorite rental ever! If looking like a real life sugar plum fairy is your thing…this skirt delivers. This bad boy is PERFECT for a night of dancing. This dress has YAS QUEEN written all over it. See a theme here? Sequins. Need I say more? Details, details, details! Pair with black pants or jeans! I wore this for Christmas last year and I loved it. Would be awesome for GNO too! COVER UP! YOU’RE GOING TO GRANDMA’S! Pair with tights and a turtleneck and you’re good to go girl! This is perfect in case your Grandma is Emily Gilmore from Gilmore Girls and lives in a mansion. I love me a good crop top. And this one has sequins…so it’s a double win! This is a little different than your typical NYE sequin dress and I’m into it! IDK I just like this. You should rent it. This is a newly added style and I’m super into it! 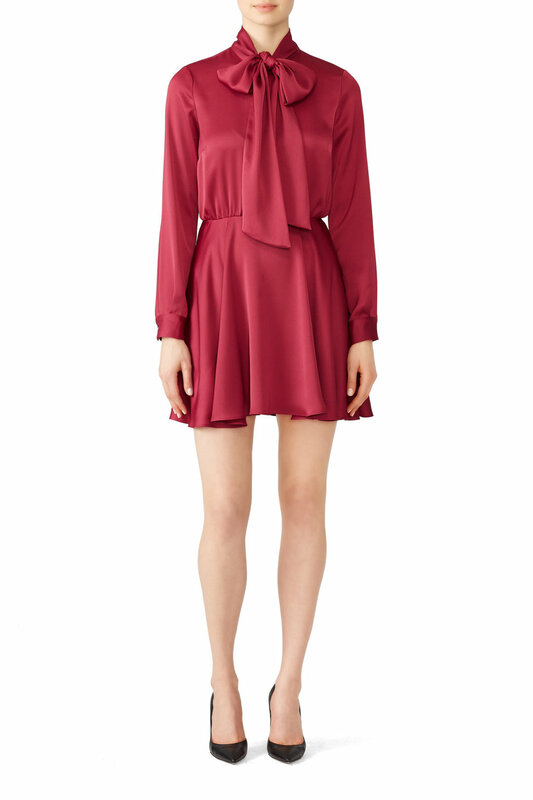 I own this in pink and it’s one of my favorite FP dresses. It’s really stretchy and sparkly! This coat looks and feels like a teddy bear. Plus it’s warm AF. I wore this bad boy to death on my trip to Romania & Prague. It kept me super warm! I rented this gorgeous coat last Christmas and it was everything I hoped for and more! Super warm too! Going to Ireland? Wear this. LOVE LOVE LOVE! I’m thinking about buying this one when I rent it next! This is the stunning black gown we all hope to wear. Show a little leg why don’t ya? This is so stunning and I wish I had a black tie event to wear it to…anyone want to invite me somewhere?? Love the color and the structure. Might even be a good winter wedding option??? I’ve had my eyes on this gown for a while…but again…no occasion. SOMEONE INVITE ME SOMEWHERE FANCY!!!!!!! These look fun! And LOOK! SPARKLES!!! If these don’t scream party pants IDK what does. I’m planning to wear these to dinner on Christmas Eve. Again… I think Linda will hate them. I just rented this and I couldn’t be happier. It’s such a fun take on a classic cable knit sweater. This looks cozy and I think I want to rent it soon! It looks like an actual teddy bear. I’m into it. Yellow? For the holidays? WHY NOT! These are quite a statement. But I loved them when I rented them. Great size for just the essentials. It’s perfect for a night out on the town! This is the perfect party purse. This is stunning and I’ve wanted to rent this for a while but I keep forgetting…I need to get better at remembering. I think I got a little carried away with all my suggestions lol. But I hope they were helpful! Let me know if you liked this kind of post and I’ll make sure to do more! Happy holidays friends! Take time to enjoy friends and family and indulge a little too much in food and wine (at least that’s what I plan to do).